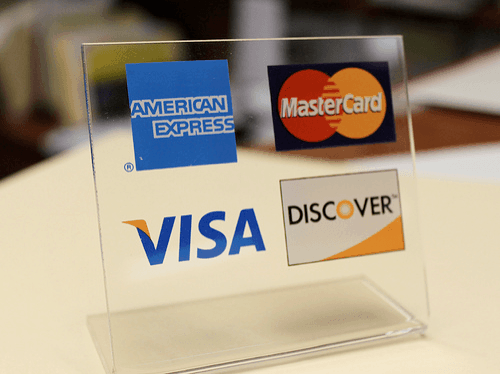 Finding a good credit card processor requires careful research, because if you choose the wrong processor, you can end up paying much higher fees than those charged by another company. There are many providers out there, and most can increase your processing fees overnight. Here are some of the reasons why this can happen — and some of the products processors offer that can raise your fees. There are three well-known types of processing fees: transactional, flat, and incidental. Transactional fees take place with every transaction you make and are usually the highest fees on a merchant account. Flat fees are usually charged monthly and cover processing expenses such as terminals and other equipment, network costs, call center charges, and reporting and statement charges. Incidental fees occur only when there is an applicable incident — most commonly a chargeback. If your customer disputes a charge from your business and it ends in a chargeback, then you will incur a fee. If you receive too many chargebacks, a standard card processor might close your account. Some types of businesses get more chargebacks than others, and they usually need the specialized services of a high-risk merchant account. No matter their type, all fees fall into either the wholesale group or the markup category. Wholesale transactional fees are also known as base or pre-markup fees but can be known by other names as well. These are the same with every credit card association or issuing bank and cover the general costs of any processor you choose, no matter how you use your merchant account. The markup fees are how the credit card processor makes a profit from your business. These fees can vary widely among processors. Often the processors that cost the most use complex terms and pricing models that can confuse even seasoned veterans in the business world. These can vary from charging you monthly or per-transaction fees — sometimes even a percentage per transaction. Providers can also combine these fees, which can vary depending on how much risk the processor perceives your business to pose. The more knowledge you have about recent trends in the industry, the more you will have the upper hand in many situations. Going over your current terms and pointing out key factors that you don’t understand is the simplest way to find out whether you are overpaying. You may want to hire an expert to look at the terms of your processing agreement to see whether any of them have changed recently. If you have a high-risk merchant account, you should periodically look for ways to cut back on transactional fees. Often rate and fee increases are negotiable by savvy business owners. The size and number of credit or debit card sales significantly influence the processing costs and fees. As the average of these transactions becomes higher, the fees will be a greater percentage of the total. These fees are affected by the entire ticket amount, not by just one or two items on it. To make sure that you are saving the most money in fees, one of the best things you can do is to remain flexible and have the patience to find the right company to work with. For example, look for one that doesn’t have early termination fees. Paying attention to this detail alone can save you money in the long term if you decide that you want to change processors for any reason. If possible, staying away from POS systems, proprietary gateways, and terminals can save a lot of fees as well. Using these systems allows their owners to raise their fees at will, and you could be locked in with them until you find another processor, which could seriously affect your business. As you look for the right provider, you should always read through the entire contract before signing up. If it is too confusing, you should contact someone who has experience in using merchant account processors and ask as many questions as needed to make sure that you get the best processor for your company.